Meridian Yachts is seen as a global marine leader and has been the best-selling brand of bridge boats in North America since 2006. Their current line features four gracious Sedan-style boats ranging in size from 34 to 56 feet. Every Meridian model reflects an understanding of boaters and their unique needs - thanks to a team of designers who are also experienced boaters. Extensive quality control and real-world testing ensure that Meridians are reliable, no matter the conditions. Buying a Meridian: We offer used Meridian Yachts for sale worldwide. Contact our sales professionals for immediate assistance. Selling Your Meridian: With a team of experienced yacht brokers and marketing professionals, we will employ a comprehensive marketing approach to ensure your vessel receives maximum global exposure online as well as exposure in person at major international yacht shows. 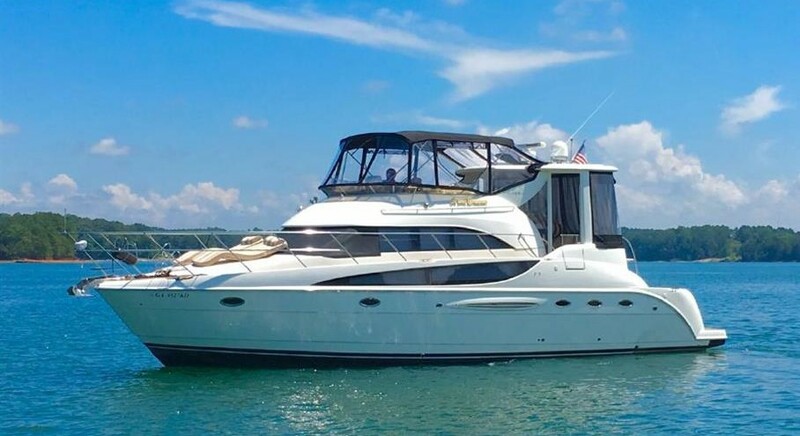 Learn more about how SYS Yacht Sales will help to sell your Meridian yacht!